A small dramatic gesture cancels any possible remains of hope in 2.59 (2014). A dental drill scrapes the grooves of a vinyl record playing John Lennon’s Imagine– whose playing time is actually two minutes and 59 seconds – as the needle ultimately and stridently squeaks, while snowflakes start to fall. Dreams are no longer possible, as our society has completely denied them. MASBEDO are Nicolò Massazza (1973) and Iacopo Bedogni (1970). They live and work in Milan. The two artists have worked together since 1999. They express themselves through the language of video, in different forms such as performance, theater, installation, photography and recently cinema. In Italy they are recognized among the most important video artists and innovators in the field of contemporary art: thanks to their unique feature of re-union of different arts: the multiplicity of languages becomes a single chorus. In fall 2014 a major solo exhibition will be showed at the Fondazione Merz, anticipated by the presentation of their first film The Lack at the Venice Film Festival. In 2013 the Leopold Museum Wien presented the video-installation “Ash” and they exhibited in Pinacoteca Nazionale Bologna a solo show with videos and a video performance. In 2012 they held video performances in several museums of contemporary art and in particular locations such as the Italian Embassy in Berlin during 7th Art Biennial. With the very special participation of Fanny Ardant they present at Teatro Strehler in Milan and Teatro Palladium in Rome an audio video performance from Le Remède de Fortune of Guillaume de Machaut. They participate with the doc-film Tralalà at the 69th Venice Film Festival and at the Reykjavik International Film Festival. Other very important shows in their career are Art Basel Unlimited, MAXXI and MACRO Museum in Rome and the 53. Venice Biennial Of Art. Other museums such the Center for Contemporary Art Uajzdowsky Castle in Warsaw, the CCCB Centro de Cultura Contemporanea in Barcelona, the DA2 Museum in Salamanca, Castello di Rivoli Museo d’arte contemporanea in Turin, the OK Offenes Kulturhaus in Linz, the Tel Aviv Art Museum and the Centro Atlantico de Arte Moderno in Las Palmas de Gran Canaria hosted in the past years their artworks. Other Film Festivals in their career: Bellaria, Tremblay en France, Novi Sad, United Nation World Forum in Rio De Janeiro, Locarno, Rome, Istanbul, Lisbon, Athens, Miami and Trieste. They have always participated with video-art projects. They worked with French writer Michelle Houellebecq with which they write The world Is Not A Panorama, a video art movie with the precious collaboration with Oscar Winning actress Juliette Binoche and exhibit the premiere at the Gran Palais, Paris. Mont Tesprateep is an artist and filmmaker based in Bangkok. Los rastreadores is a two channel video installation set in Bolivia and very loosely inspired by John Ford's American Western classic film The Searchers. It does not attempt to recreate the film but adapts its major themes where the similarities lie in the use of landscape and depictions of themes like race and alienation. The main character in Los Rastreadores, Ernesto Suarez, is a drug lord who, recently released from a Miami prison, returns to his home in Santa Cruz only to immediately depart in a search towards the oposite side of the county for his family's only surviving members after a home invasion and massacre. Ernesto's character is modeled after Roberto Suarez Gomez, a Bolivian drug trafficker nicknamed "king of cocaine" and the most powerful drug lord in Bolivian history. Los Rastreadores merges and distills issues of race, belonging, class systems, and alienation into a minimal narrative that con - denses the massacre of Ernesto's family, the kidnapping of his daughter, and his departure to search for her. Using silences and voice-overs rather than traditional dialogue it centers on the power of myth where literal events operate as a displacement for the political discourse in the country. Claudia Joskowicz (MFA New York University, 2000) has had solo exhibitions at LMAK Projects, Forever & Today, Inc., Thierry Goldberg Projects, and Momenta Art in New York, Dot Fiftyone in Miami, California Museum of Photography in California, Galeria ACBEU in Salvador, Espacio Simón Patiño and Museo Nacional de Arte, Centro Cultural Santa Cruz and Galería Kiosko in Bolivia, and Lawndale Art Center in Houston. Recent group exhibitions at the Guggenheim Museum, NY; Fondation Cartier pour l`art contemporain, Paris; Museum of Contemporary Art, Denmark; Tenth Sharjah Biennial; the 29th São Paulo Biennial; the Tenth Habana Biennial; Slought Foundation, Philadelphia and the 17th and 18th Videobrasil Festivals in São Paulo. She has received a Guggenheim fellowship, a mid-career artist commission from the Cisneros Fontanals Art Foundation, a Fulbright Scholar award, and a fellowship from the Vermont Studio Center. Recidencies include Sacatar Institute in Brazil, Lower Manhattan Cultural Council Workspace, and the Bronx Museum of the Arts AIM program. Joskowicz is currently the artist in residence at the LMCC’s Residency at Cité Internationale des Arts, Paris. A mission in the middle of the Colombian jungle. Time seems to have stopped. There is something sinister in the air. The ambiance is tense. Hot and humid. A man surrounded by an environment that burns himfrom the inside. Power, poetry, violence. Everything happens in an instant, leaving everyone breathless. Director and editor Felipe Guerrero was born in Colombia in 1975. His first film Paraíso(2006) received the Mention Spécial for First Films at FIDMarseille. Corta(2012), his second film, premiered in the BrightFuture Section at the Rotterdam FF 2012, and was exhibited in Festivals around the world (FICCICartagena de Indias, BAFICI Buenos Aires, JIFF Jeonju,FIDOCS Santiago de Chile, DISTRITAL México DF, SPLITCroacia, DOKLeipzig, La Habana). As an editor, he worked in films exhibited and awardedinternationally, among them: Los Hongos(2014), La playaDC(2012), El páramo(2011), El vuelco del Cangrejo (2009). In 2011 he founded his own production company Mutokino. White death is the impressionist portrait of a landscape marked by tragedy. A ghostly stroll among the vestiges of a story where forty-four young soldiers and one sergeant were pushed to their deaths in the mountainous region of Antuco. Roberto Collío – 25 November 1986, Santiago (Chile) Graduated of Integral Realization of Film and Television from Center of Cinematographic Research. While studying in Argentina he wrote and directed his first short film "Hombre muerto", an adaptation exercise based on the homonymous short story by Horacio Quiroga. Roberto Collío returned to Chile on 2009, where he participate as sound mixer in several film, both documentary and fiction. During 2013, Collío directs his second short film, "Muerte Blanca", an experimental documentary that chronicles the tragedy of Antuco. Currently Collío is developing his first feature, a documentary called “Petit Frère". The project, co ¬directed with Rodrigo Robledo and produced by Isabel Orellana, is a playful approach to the idea of identity, built in the fantastic imaginary writing of a haitian immigrant. Masbedo racle les sillons d’un vinyle jouant ‘‘Imagine’’ de John Lennon, jusqu’à rendre son message inaudible. Mont Tesprateep filme dans le jardin d’un haut gradé de l’armée thaïlandaise. Le film est construit sur plus de 20 ans d’observations et de souvenirs de différents conscrits qui ont travaillé dans ce jardin. Claudia Joskowicz réalise en Bolivie une narration minimale inspirée de ‘‘La prisonnière du désert’’ de John Ford, en reprenant au film des thèmes tels que l’utilisation du paysage, le racisme, le système de classe et l’aliénation. Un baron de la drogue rentre chez lui, après sa libération d’une prison de Miami, pour repartir de l’autre côté du pays à la recherche du seul survivant de sa famille, après une attaque de sa maison et un massacre. Clemencia Echeverri a traversé la Colombie, pour entendre la pulsation d’un territoire traversé par les conflits, et pour interroger les traces. Ce travail explore la noirceur, les sacrifices, l’inquiétude d’une terre, avec ses terreurs et ses secrets. Symbole de sécurité, une maison condense ces impressions mais se trouve envahie par des présences fantomatiques. Dans la jungle colombienne, Felipe Guerrero place un homme dans un environnement qui le brûle de l’intérieur, l’air est sinistre, le temps semble arrêté. Roberto Collío fait le portrait d’un paysage marqué par la tragédie, promenade spectrale dans la région montagneuse d’Antuco, au Chili, où 44 jeunes soldats et un sergent ont été tués. We Build Excitement is a serie of performances and videos examining the evolution of the American auto industry as a parallel to shifting American identity. Starting two years ago, Sugarmann opened (and plans to continue opening) unsanctioned Pontiac dealerships in former Pontiac dealership locations across the United States. He activates these dealerships as sites of celebration, honoring both the American auto worker and our fraught, intimate relationships to cars themselves. Assembling temporary modernist monuments with Pontiac cars, Sugarmann gives form to the precarious nature of the auto industry. And in video works, he documents laid-off assembly line workers and car accident victims recreating the movements of their former jobs and crashes, respectively. Their deadpan choreography forms a moving homage to the mundane and the traumatic moments in both the birth and death of the automobile. Jesse Sugarmann is an interdisciplinary artist working in video, performance, sculpture and fibers. His work engages the automotive industry as a manufacturer of human identity, accessing automotive history as an index of both cultural identity and social history. Jesse has exhibited work both nationally and internationally in venues such as the Getty Institute, Los Angeles; el Museo Tamayo, Mexico City; the Portland Institute for Contemporary Art, Oregon; the Banff Center, Canada; Filmbase, Ireland; Human Resources, Los Angeles; Michael Strogoff, Marfa; el Museo de Arte Moderno de Santander, Spain; Drift Station, Omaha; Fugitive Projects, Nashville; the 21c Museum, Louisville; and High Desert Test Sites 2013. His work has been written about in publications including ArtForum, Art Papers, ART LTD, Art Cards, Art Fag City, Art Car Nation, Frieze Magazineand The New York Times. Jesse lives and works in Bakersfield, CA. Le paysage européen actuel tel que nous le connaissons est en grande partie le résultat de siècles d’aménagements, de décisions, visant à accompagner le développement de l’Homme sur son territoire. Nous contemplons le plus souvent un paysage manufacturé, continuellement en chantier. Ce gigantesque chantier est le fruit de choix émanant d’institutions publiques ou privées, démocratiques ou non. Diverses activités humaines, juridiques, politiques ou économiques rythment et modifient l’environnement en permanence. Few times, few places dresse un portrait des lieux dans lesquels ces activités sont concentrées. La notion de paysage évoque parfois une surface sur laquelle on pose un regard. Ici, il s’agit de remonter à la source de cette surface. Benjamin Dufour est né en 1984 à Metz. Après une formation musicale au cours de laquelle il apprend le saxophone et la composition, il intègre l'École Supérieure de l'Image d’Angoulême (2002 à 2007), posant les bases d'une recherche plastique mettant en forme son univers musical et conceptuel, s'intéressant particulièrement aux matérialités du son : phénomènes physiques, supports d'enregistrement, partitions, etc. À la recherche de nouveaux terrains d'expérimentation et de publics variés, il participe à de nombreuses résidences pendant 4 ans. Il est membre du collectif La Mobylette (www.lamobylette.org) depuis sa création en 2006, collectif qui développe des pratiques de production d’œuvres et de commissariat d’exposition. Régis Feugère est né en 1976, après des études d'Histoire de l'Art et une formation technique en photographie, il intègre l'Ecole Européenne Supérieure de l'Image d'Angoulême de 2002 à 2007 où il établit les bases de son langage plastique. A rebours d’une photographie de l’effet, sa démarche, patiente, réfléchie et mesurée, est celle d’une contemplation qui, à notre époque d’accélération généralisée est aussi une forme d’engagement voire de résistance. Dans ses compositions le vernis du monde que nous croyons connaitre se fissure, laissant entrer le doute, le trouble et l’inquiétude devant le regardeur. Decision Pending is an alienating observation of politicians stuck in the daily routines of decision making. During committee meetings and plenary sessions everyone seems under the spell of difficult decisions that have to be made. Decision Pending is a non-political film about politics, which unfolds itself as an audiovisual symphony. Tomas Hendriks (°1985) studied Composition at the Royal Conservatory in The Hague (NL) and Film / Audiovisual Art at KASK School of Arts in Ghent (BE). His compositions have been performed and awarded throughout the Netherlands and Belgium. His films are characterized by a strong sense for composition and focus on the experience of image and sound. They can be best described as moods, shaped or stretched out over a course of time. Consequentially, the unspoken and unexplained are prominent. In 2009, his graduation film Strangers (15min) was screened and awarded at several film festivals. For Decision Pending, his first independent film, he also wrote the music, which is performed by Spectra Ensemble. The work questions the conflation of abstractions such as economic growth and finance with organic natural processes. We hear of flows of capital and liquid assets, but can such dematerialised entities be equated with the movement of water that inherently acts under the influence of natural laws and gravity? Here nature is utilised in an attempt to give monetary concepts and mechanisms a form of naturalised comprehensibility, but perhaps both operate in fundamentally differing ways. This is highlighted in the work through featuring varying uses of running water in relation to accumulation and change over time. Ranging from a biomorphic corporate bank building surrounded by traditional water gardens, to cotton irrigation and fluctuating commodity prices, to a subversion of a Richard Serra’s 1968 film “Hand catching lead”, natural, historical and cultural references are appropriated in order to create a narrative that examines an equation that seems somewhat ubiquitous today. Son accent est la seule chose que l'on sait d'elle, sa réputation s'est faite en transformant des situations complexes en objets simples. Elle gravite dans les consortiums, hubs et autre méga-structures fluctuantes . On lui doit quelques orientations primordiales prisent par notre société ces dernières années. Un quotidien qui justement signifie que la chose doit être réglée dans la journée. Loïc Vanderstichelen est un cinéaste indépendant né à Ypres en 1973. Il vit et travaille à Bruxelles et réalise et produit des films seul ou en collaboration depuis 1995. Jean-Paul Jacquet est commissaire d'expositions et historien de l'art. Il vit et travaille à Bruxelles. Theoria is the Greek word for talking about something witnessed. If, during ancient times, someone during a travel experienced an extraordinary event a theoria was performed when the witness returned home. Philosophers talked in terms of "ritualized visuality" that received a political significance where the person lived, and the important part of a theoria was the social situation when the witness shared his experiences. The theoria that is dealt with in the film is based on the events that took place in a suburb of Stockholm, Tensta, in August 2012. A young girl borrowed her mother’s smartphone and took a photograph of a peculiar cloud in the sky. The image, that started to circulate on social media, was interpreted as an apparition of the Virgin Mary by many residents of Tensta. Thousands of people gathered in the local Syrian Orthodox church and again the miracle was witnessed, both in the condensation in the windows and in the trees outside the church. The story of the miracle in Tensta disappeared very quickly from mainstream media, but lived on different online discussion sites. In the film seven local residents perform a whispering reading of a manuscript written from these online discussions. The reading is combined with documentary footages from the church. The textual quality is emphasized and contrasted to the ecstatic situation and the documentary images where viewer has to ask her self what she is really seeing. Magnus Bärtås is an artist, writer and professor of fine arts at Konstfack in Stockholm working with text, video, objects and installation. His dissertation in artist research, You Told Me – Work stories and video essays, was published in May 2010. Together with Fredrik Ekman he has published three books of essays. Their latest book, Alla monster måste dö (“All monsters must die”), was nominated to the Swedish national August prize. In 2010 his video essay Madame & Little Boy won the grand prize at Oberhausen International Short Film Festival. Recent exhibitions include “The Miracle in Tensta”, Tensta Konsthall, The 9th Gwangju Biennale 2012, and “ABCDEFGHI” at Marabouparken, Stockholm, 2013. En présence de Tomas Hendriks, Loïc Vanderstichelen et Jean-Paul Jacquet. En hommage à l’industrie automobile, Jesse Sugarmann réalise des monumements performances avec des voitures Pontiac. Benjamin Dufour examine le paysage contemporain, de gigantesques chantiers décidés par des institutions publiques ou privées, démocratiques ou non, souvent conséquences de siècles d’aménagements et de décisions se proposant d’accompagner le développement de l’homme sur son territoire. Tomas Hendriks réalise un film qui se déplie comme une symphonie, film non politique au sujet de la politique. Il scrute le processus de prise de décision chez des politiciens, lors de réunions et de sessions pléniaires. Chacun d’entre eux semble être pris dans les rêts de décisions difficiles mais inéluctables. Matthew Verdon met en parallèle des abstractions liées à la croissance économique et à la finance, avec des processus organiques naturels, liés à écoulement de l’eau. Les flux de capitaux peuvent-ils être mis en équation avec les lois naturelles ? Loïc Vanderstichelen fait le portrait d’une femme-entité, sa réputation s’est faite par les transformations qu’elle opère, des situations complexes devenant des objets simples. Elle gravite dans les consortiums, hubs et autres méga-structures. On lui doit quelques orientations primordiales prises par notre société ces dernières années, son quotidien signifie que la chose doit être réglée dans la journée. Magnus Bartas s’inspire des événements qui ont eu lieu dans la banlieue de Stockholm, à Tensta, en Août 2012. Une jeune fille emprunte le smartphone de sa mère et prend une photo d’un nuage étrange que beaucoup d’habitants interpréteront comme une apparition de la Vierge Marie. L’histoire du miracle de Tensta. A la vallée de Joux, en Suisse, un vélo cycliste tente la traversée d`un lac gelé. Le titre de la vidéo, Pégase, provient de la sculpture que l’on voit en arrière plan. Ce petit film s’inscrit dans une série d’une trentaine de films autonomes réalisés entre 2003 et aujourd’hui. Denis Savary est né en 1981 à Granges-Marnand en Suisse. Il vit et travaille à Genève. Diplômé de l’Ecole Cantonale d’Arts de Lausanne, il est en résidence à l’atelier des Arques, puis au Pavillon du Palais de Tokyo en 2006/2007. Il a participé à de nombreuses expositions de groupe : Enchanté château, organisée par Christian Bernard à la Fondation pour l’art contemporain Claudine et Jean-Marc Salomon en 2005, au MAMCO de Genève en 2006, Voici un dessin suisse (1990-2010), au Musée Rath (Genève), Wind, me souffle entre les images au Quartier à Quimper, au Printemps de Septembre à Toulouse en 2009 et 2008... Son travail a également été montré en 2008 au Jeu de Paume (Paris) dans le cadre de la programmation Satellite et au Musée Jénisch à Vevey (Suisse). Lors de l’exposition Le Narrenschiff au Centre Pasquart en 2010, on a pu découvrir un vaste ensemble de films de l’artiste. En 2012, la Kunsthalle de Berne lui consacre une exposition intitulée Balthiques. Plus récemment, une sélection de ses films a été projetée au Centre Georges Pompidou (Paris) lors du festival Hors Pistes. En 2015, une exposition monographique lui sera consacrée au MAMCO de Genève. Hidden memories and lost treasures of our primeval inhabitants. Born in 1974 in Portugal, Sandro Aguilar studied film at the Escola Superior de Teatro e Cinema. In 1998 he founded the production company O Som e a Fúria. His films have won awards at festivals, such as La Biennale di Venezia, Gijón, Oberhausen and Vila do Conde, and have been shown in Torino, Belfort, Montreal, Clermont-Ferrand among others. Retrospectives of his work have been programmed at Rotterdam IFF and BAFICI. "Towards the Bank of the Future" observes and engages with two conceptual axes. The first axis derives from the analysis of Aristotle in the Nicomachean Ethics, where Aristotle presents the problematic of a definition of the "work of man". In the same way that Aristotle sets the work of man in motion, this form of a life that is activated by the operation of Logos, Cavafys repositions life, or a form of life at least, in the sphere of History, a history of action, an action beyond a simple livelihood (ζῆν). At this exact point, the work focuses on the second axis, on the concept of historicity, thus the specific position and use of History in the work of Cavafys. The poet frequently narrates in his works, of a man who is historically located either in the classical or the modern times.The above element is the one that transforms the work of Cavafys to a significant moment of modernity in poetry. The displaced historicity of the form, where the atemporal collides with the historical. Theo Prodromidis born in Thessaloniki in 1979, lives and works in Athens, Greece. He studied Contemporary Media Practice at the University of Westminster and was awarded an MFA in Fine Art at Goldsmiths in 2007, in London, UK. His work has been exhibited in galleries, museums and institutions such as the 4h Athens Biennale, Athens, Greece, ReMap, Athens, Greece, Athens & Epidaurus Festival, Athens, Greece, Kunsthalle Athena, Athens, Greece, Ileana Tounta Art Centre, Athens, Greece, Werkleitz zentrum für medienkunst, Halle, Germany, Contour Mechelen, Brussels, Belgium, State Museum of Contemporary Art, Thessaloniki, Greece, Tramway, Glascow, Scotland, Centre Pompidou, Paris, France, Fondazione Merz, Torino, Italy, the 1st Thessaloniki Biennale, Thessaloniki, Greece, Museum of Cinema, Thessaloniki, Greece, Macedonian Museum of Contemporary Art, Thessaloniki, Greece i.a. He has been awarded with European Media Artists Award (EMARE), 2008 and Onassis Foundation Award, 2006. His work is in public and private collections in Greece, UK and Italy. “Things are never by themselves. Neither are we. They are among themselves and linger in our surroundings. And we sometimes see them, and us among them, as things among things. Yes, but not quite, not only.” This is how Jan Verwoert starts his text ‘Enter the Eerie Thingscapes’ on Sam Smith’s video installation ‘Form Variations’ (2014). The work, shot in the widescreen CinemaScope ratio, is an atmospheric looping meditation on cinema’s relationship to space and things. The non-narrative structure coalesces object, figure and location into a series of composed vignettes that swing between the hyperreal and the surreal. Key to the work are two specific references from the beginning of Michelangelo Antonioni’s ‘L’Eclisse’ that illuminate ideas that lie subtly in the fabric of the 1962 film. Specifically, the opening shot in which the character of Riccardo`s arm is perceived first as inanimate form, then revealed as flesh. Sam Smith lives and works between London and Sydney. His current artistic practice spans video, sculpture, installation and performance. From 2013 to 2014 he was an artist in residency as part of the Künstlerhaus Bethanien International Studio Programme in Berlin. Recent solo exhibitions and performances include ‘The Performative Minute’ at KW Institute for Contemporary Art, Berlin (2014); ’Notes on the Apparatus' selected by Vdrome for the Artists' Film Biennial, Institute of Contemporary Arts, London (2014); 'Frames of Rererence', a solo exhibtion at The Royal Standard as part of their Liverpool Biennial 2014 programme (2014) and 'Form Variations' at Künstlerhaus Bethanien, Berlin (2014); He has participated in numerous group shows including 'Online/Offline. Encoding Everyday Life for Vorspeil Transmediale', Altes Finanzamt, Berlin (2014); 'Oblivion', Zweigstelle Berlin (2014); 'Conquest of Space', COFA Galleries, Sydney, Australia (2014); 'Larger than life', Temporära Konsthallen, Stockholm (2013) and 'Framed Perceptions', Sinne, Helsinki (2013). First Citizen (House of the Deaf Man) opens in a small room, where a therapist is in consultation with a young man. Through the use of hypnosis, the young man is experiencing a ma¬nipulation of his unconscious motivation. A feeling of debt is implanted in him through psycho-suggestion. First Citizen (House of the Deaf Man) proposes the idea that the indebt¬edness of the citizen is not only a causality of a flawed eco¬nomic system, but also the last relation that connects the citizen to a community. The only sure way to be part of any power relation is to enter the creditor/debtor relationship. Debt might hence be something that the citizen uncontiously desires - as the only means of experiencing community. First Citizen (House of the Deaf Man) paints an awry portrait of the indebted man with a little help from Goya’s painting ‘Duel with Cudgels’. Soren Thilo Funder’s works are formal investigations of the power relations of modern day society. Through the use of conceptual visual strategies, cinematic narratives and mise en scène, the works aim to expose the precariousness of contemporary society using fiction to generate new potential spaces for political contemplations and counter-memory. Soren Thilo Funder has an MA from the Royal Danish Academy of Fine Arts and The School of Art and Architecture at the University of Illinois at Chicago. He has been an artist-in-residence at Künstlerhaus Bethanien in Berlin, SOMA in Mexico City, Townhouse Gallery in Cairo, Frankfurter Kunstverein in Frankfurt and Platform Garanti in Istanbul. He was represented at the 19th Biennale of Sydney, 1st Copenhagen Art Festival, eva International Biennial of Visual Art - “After The Future”, 12th Istanbul Biennial, 2nd International Moscow Biennial for Young Art, Manifesta 8 – Parallel Events and 6th International Liverpool Biennial. Egress is a narrative set in a gas station in the edgelands of Oslo. The main characters work at the bottom of the oil company hierarchy and are engulfed in the everyday and the dark economic and psychological shadows of their society. Egress is the story of a young woman who deals with her every day work situation with independence and stubbornness in her work and life in the periphery of the city. The film shows relationships between control and independence, about labour, class and work, but it is also a poetic film about a socially insecure edgeland of the city—and about a psychological flipside or cost of the everyday, somewhere near the bottom of the huge economic ladder of the oil industry which secures Norway's stability. Egress' world is a world of social instability and economic insecurity as part of a society undergoing major changes. Egress is shot entirely on "location" in Oslo's Groruddalen, mainly between an apartment complex and a gas station. The film is an experimental fiction built up from documentary material which mixes the environment- and character-based to talk about contemporary society. Knut Åsdam (1968) is a filmmaker, installation artist and photographer. Åsdam established his international work through the art scene in New York after finishing studies at Wimbledon School of Art (London, 88-89), Goldsmiths College (London, 89-92), Jan van Eyck Akademie (Maastricht, 92-94) and at the Whitney Museum Independent Study Program (NYC 94-95). Expressed in diverse forms, the main interest of Åsdam’s work remains a concern for contemporary society and its psychological and material effects, and the toll of every day life; e.g. how individuals constructs and negotiates his or her identity in reaction to the rules and organizations of contemporary society. Åsdam investigates the usage and perception of public urban spaces, including their structures of political power and authority. The themes in Åsdam’s work can be thought of relating to four essential categories; ‘Speech’, ‘Living’, ‘Sexualities’ and ‘Struggle’. These concerns often relate to themes of dissidence and to analysis of space in terms of desire, usage and history. The idiosyncrasy of Åsdam’s approach to the cinematic field is created by transposing the resources of spatial and place-oriented discourses from the Fine Arts context into film. Furthermore, he uses a plotless narrative and an oscillation between documentary and fictional narrative elements in the films. Åsdam´s work has been shown widely at i.e. Tate Modern; Bergen Kunsthall; Tate Britain; Boijmans van Beuningen Museum, Rotterdam; Venice Biennial; Kunsthalle Bern; Istanbul Biennial; FRAC Bourgogne; MACRO, Rome; Museum of Contemporary Art, Oslo; Manifesta7; Moderna Museet, Stockholm; P.S.1 MOMA, NYC: and Musee d’Art Moderne de la Ville de Paris, among others. En présence de Denis Savary, Sandro Aguilar, Soren Thilo Funder et Knut Asdam. Denis Savary filme un cycliste dans la vallée de Joux, en Suisse. Celui-ci tente la traversée d’un lac gelé, lorsque survient l'impondérable. Sandro Aguilar dévoile les souvenirs cachés et les trésors perdus des premiers habitants de la terre. En invoquant Aristote et Cavafy, Theo Prodromidis interroge la notion d’historicité, et d’histoire de la forme, où l’atemporel se heurte à l’historique. Sam Smith étudie des variations de formes, et médite sur les relations qu’entretient le cinéma à l’espace et aux choses, en rendant hommage à Antonioni. Dans une structure non-narrative, des objets s’unissent, entre le surréel et l’hyperréel. Avec Soren Thilo Funder, le patient d’un thérapeute se voit implanter dans son esprit un sentiment de dette. Non seulement cause d’un système économique vicié, cette dette apparaît comme unique manière d’être certain de faire partie d’une relation, celle qui unit le débiteur à son créancier, moyen ultime de faire l’expérience de la communauté. Knut Asdam filme une station d’essence, semblable à un envers de l’industrie pétrolière qui fournit au pays sa stabilité. La fiction qui émerge, construite sur des images documentaires, contredit et renverse cette stabilité, pour interroger une société contemporaine, faite de contrôle et de dépendance, de classe sociale et de travail. Giant features leading junior team gymnasts of Romania. The film is shot in two boarding schools for artistic gymnastics in Onesti and Deva. A soundtrack of interviews with the gymnasts accompanies images of them training and of empty gymnasiums. Archive film footage starting from 1970s and clips from a feature fiction film shot in the same locations reveal not only a continuity in picturing this sport, but also the structures of recording it. Salla Tykkä (born 1973) is a visual artist who works with film and video since 1996. She graduated from the Academy of Fine Arts in Helsinki 2003 and participated in the Venice Biennale 2001. Her solo exhibitions include: BALTIC Arts Centre, Gateshead 2013; EX3, Florence, 2011; Hayward Gallery Project Space, London, 2010; Norrköping Art Museum, Norrköping, 2009. She has participated in numerous group shows in museums and public institutions among others: Making Space. 40 Years of Video Art, Musée cantonal des Beaux-Arts, Lausanne, 2013; La La La Human Steps, Istanbul Museum of Modern Art, Istanbul, 2013; 17th Biennale of Sydney, Museum of Contemporary Art, 2010; Momentum, Moss, 2010. Salla Tykkä’s films have been shown at international film festivals like: 36th International Film Festival Rotterdam, Rotterdam, 2007; 21st Brest European Short Film Festival, Brest, 2006; Tribeca Film Festival, New York, 2003; International Short Film Festival Ober- hausen, Oberhausen, 2003 and 2002. "While remastering Los Angles Plays Itself, I re-edited a number of clips, including The Takeover (Troy Cook, 1995), a grungy, sordid straight-to-video film remarkable only because executive producer Michael Woods and star David Amos had in 1990 planned and carried out the murder of Horace McKenna, Woods's partner in the operation of a chain of strip clubs around Los Angeles - a crime echoed in the movie. After repeated viewings, I noticed a miniature tragedy (or black comedy) spread out over the first sixty minutes. Its protagonist is Waldo the bouncer, the victim of ruses and sucker punches, whose multiple failures lead him to one final heroic attempt to make amends. This is his story." Thom Andersen has lived in Los Angeles for most of his life. In the 1960s, he made short films, including Melting (1965), Olivia’s Place (1966), and --- ------- (1967, with Malcolm Brodwick). In 1974 he completed Eadweard Muybridge, Zoopraxographer, an hour-long documentary film about Muybridge’s photographic work: It was restored by the UCLA Film and Television Archive in 2013. 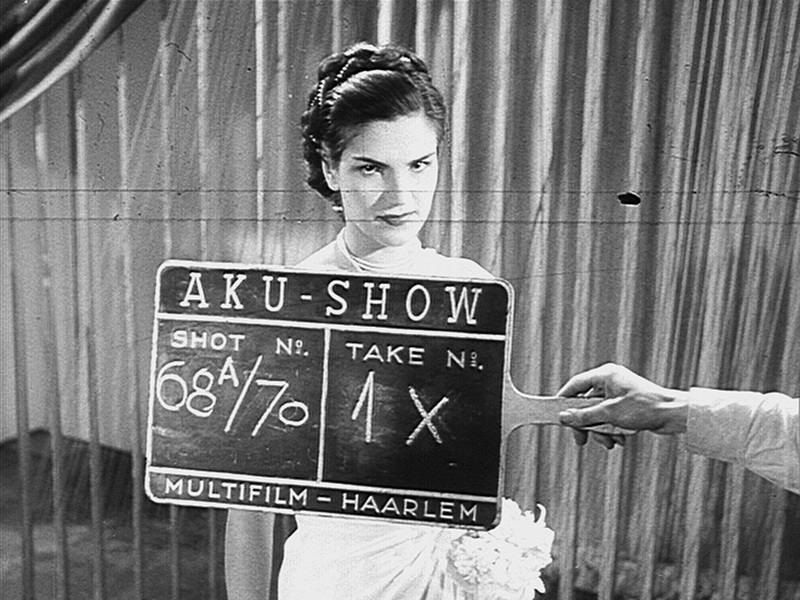 In 1995, with Noël Burch, he completed Red Hollywood, a critical video essay about the film works created by the victims of the Hollywood Blacklist. Their work on the history of the Blacklist also produced a book, Les Communistes de Hollywood: Autre chose que des martyrs, published in 1994. In 2003 he completed Los Angeles Plays Itself, a three hour-long movie about the representation of Los Angeles in movies. It was voted the Best Documentary of 2003 in the Village Voice Film Critics’ Poll. He completed Get Out of the Car, a short 16mm portrait of Los Angeles. In 2012, he directed Reconversão, an HD video about the work of Portuguese architect Eduard Souto Moura, the winner of Pritzker Prize in 2011. He has taught at the California Institute of the Arts since 1987. That’s Why We End depicts a dialogue in three parts between a therapist figure and a client. While the character of the therapist appears on screen, Cohene again invites the viewer to assume the position of the client by providing us only with his voice. In this work, the composite of the therapist is assembled almost entirely from films referenced in Gilles Deleuze’s classic texts Cinema 1 and Cinema 2, whereas the client’s narrative is built from recordings of associative exercises the artist undertook with theorist and artist Eric Cazdyn. "The One Who Walks" ("Quella Che Cammina") is a central female character in Carlo Lizzanis contribution to the neorealist anthology film "L'amore in città" of 1953. Eli Cortiñas' unconventional filmic composition used this figure of an aging, impoverished prostitute as a nucleus an associative montage of self-filmed material, found footage and fragile sculptural constructions circle around to question her own role as a self-responsible individual, as a working class child, as a woman, as a daughter, as an artist. Eli Cortiñas was born in Las Palmas de Gran Canaria, Spain, 1976. She studied at the Academy of Media Arts Cologne and has been awarded the Villa Massimo and the Karl Schmidt-Rottluft grant among others. Her work has been presented in solo and group shows at museums such as Museum Ludwig, Cologne, Kunsthalle Budapest, Museum Marta Herford, Kunstraum Innsbruck, Museum La Regenta and MUSAC, Spain, as well as in international festivals such as the 3rd Moscow International Biennale for Young Art, the 2nd Mardin Biennale, the 58th International Short Film Festival Oberhausen, the 20th International Curtas Vila Do Conde and the Nashville Film Festival. She lives and works in Berlin. Commencé en 2014, FILM NOIR est un projet en évolution, en plusieurs parties, qui explore une fascination à long terme de La Ribot: la figure de l'extra, "surnuméraire" ou l'acteur de fond. Les pièces de La Ribot 40 Espontáneos, 2004, et PARAdistinguidas, 2011, par exemple, invitaient des extras (des bénévoles locaux, normalement avec peu ou aucune expérience théâtrale) au centre de la scène dans de nouvelles œuvres d’art vivant pour le théâtre. En revanche, FILM NOIR regarde en arrière dans l'histoire du cinéma et utilise la vidéo pour explorer la dynamique cinématographique du monde des extras. Premier de la série, FILM NOIR 001, 2014, se penche sur les extras dans Spartacus (1960) et El Cid (1961) - "papier de tournesol" humain dont les actions et les attitudes révèlent les idéologies contrastées des deux productions. Actuellement en cours, FILM NOIR 002 et 003 élargissent l'enquête sur d'autres films et d'autres questions. L’artiste et chorégraphe La Ribot est née à Madrid. En 1986, elle co-fonde le groupe Bocanada Danza et le co-dirige jusqu’à sa dissolution en 1989. Deux ans après, elle commence à travailler sous le nom de La Ribot et elle inaugure le « striptease » humoristique Socorro! Gloria!, une pièce qui attire un nouveau public et qui lui inspire sa série solo intitulée 13 Pièces distinguées. Más distinguidas, la seconde série des Pièces distinguées, est inaugurée à Madrid à la fin de l’année 1997. Suivi d’autres série des pièces : Still Distinguished, 2000 et PARAdistinguidas, 2011. Panoramix, la version anthologique de trois heures rassemblant les trente-quatre premières Pièces distinguées, est inaugurée en 2003 à la Tate Modern et a voyagé ensuite dans d’autres galeries européennes, telles la Reina Sofía de Madrid ou le Centre Georges Pompidou à Paris. En 2000, La Ribot amorce son travail vidéo, et expérimente plus particulièrement l’utilisation du plan-séquence, tourné du point de vue du corps impliqué dans une performance. Cette approche a irrigué de nombreuses œuvres depuis les années 2000, dont l’installation Despliegue, 2001, et le travail complexe mené avec la pièce Mariachi 17, 2009. La même année, elle prend comme base Mariachi 17 afin de mettre en place Llámame Mariachi, un nouveau travail mêlant vidéo et performance live des trois interprètes. En 2004, La Ribot arrive à Genève, en Suisse. Elle y fonde et co-dirige entre 2004 et 2008 Art/Action, un département destiné à l’enseignement et à la recherche du live art basé à la Haute École d’Art et de Design (HEAD) de Genève. Les années 2000 voient aussi le développement de la pièce participative de grande envergure 40 Espontáneos, 2004 ; lancée en 2006 à l’Art Unlimited de Bâle, la pièce Laughing Hole ; et Gustavia, 2008, un duo conçu et joué avec la danseuse, chorégraphe et directrice du Centre National de la Danse de France, Mathilde Monnier. En 2011, elle lance PARAdistinguidas, une nouvelle série des Pièces distinguées conçue pour cinq danseuses et vingt « figurants » volontaires ; en 2012 elle achève EEEXEEECUUUUTIOOOOONS!! !, une commande chorégraphique majeure du Ballet de Lorraine à Nancy, en France. Également en 2012, le MUAC (Mexico City’s Contemporary Art University Museum), a inauguré son espace d’exposition de live art en proposant une exposition monographique sur son œuvre. Le travail vidéo de La Ribot est présenté au sein de collections privées et publiques dans toute l’Europe et elle continue à développer et présenter son travail à l’internationale. Elle a participé à des exhibitions au Japon, Seoul, Korée du Sud et Mexico: en 2012, le MUAC (Mexico City’s Contemporary Art University Museum), a inauguré son espace d’exposition de live art en proposant une exposition monographique sur son œuvre. En 2014, aux côtés du compositeur et pianiste Carles Santons, elle a produit Beware of Imitations!, un vidéo hommage à la danseuse américaine Loie Fuller. Elle poursuit son travail à l’international depuis sa base située à Genève, en Suisse, où elle vit avec le chorégraphe suisse Gilles Jobin. En présence de Salla Tykkä et Eli Cortiñas Hidalgo. Salla Tykkä filme des gymnastes roumaines. Elle ajoute à ses prises de vue des archives des années 70 et des extraits de films de fiction tournés dans les mêmes lieux, révélant ainsi une continuité dans la représentation de ce sport, mais aussi dans la structure de sa mise en image. Thom Andersen reprend trois films dans lesquels joue Tony Longo, acteur américain cantonné aux seconds rôles. Aleesa Cohene décrit un dialogue entre la figure du thérapeute, qui apparaît à l’écran au travers d’extraits de films de référence, et son patient, rôle que nous sommes invités à tenir. Eli Cortiñas Hidalgo reprend d’un film néoréaliste de Carlo Lizzani, la figure de la prostituée pauvre et âgée, et en fait le centre d’un montage associatif autour de la question de son propre rôle d’individu, comme enfant de la classe laborieuse, comme femme, comme fille, comme artiste. La Ribot s’intéresse à la figure du figurant dans l’histoire du cinéma, et à leur dynamique cinématographique. Dans deux films du début des années 60, ‘‘Spartacus’’ et ‘‘El Cid’’, les actions et attitudes des figurants révèlent les idéologies contrastées des deux productions. Fabric is a montage based on remaining workprints from a commercial film about viscose that no longer exists. The original attempt of the film to visualize perfect images of a young tailor and models dressed in sensual fabric while acting within a decorative modernist setting is mirrored in its shortcoming. The leftovers only show the preliminaries, faulty repetitions and aborted takes, thus all footage which was thrownout. Clapper boards indicating each take by numbers allowed to reconstruct a part of the film’s original storyboard. The new montage shows all of the remaining snippets from the related scenes including the clapper boards, the repeated takes and the glitches in the film material. However, all parts which probably have been used to edit the original film are missing, the gaps are marked with beeps on the otherwise silent soundtrack. While following a fragile new narrative, Fabric also generates a counterpart of an artefact that was lost. Christoph Girardet, born in Langenhagen, Germany, in 1966. He studied Fine Arts at the Braunschweig School of Art (Master’s degree in 1994). Since 1989 he has produced video tapes, video installations and films, some of them in collaboration with video artist Volker Schreiner beginning in 1994 and as of 1999 with filmmaker Matthias Müller. He was awarded a stipend for the International Studio and Curatorial Program in New York (2000) and the Villa Massimo stipend in Rome (2004). He lives and works in Hanover. Insight is the total abstraction. A carefully assembled film-crew appears like a tableau vivant facing the viewer. Then suddenly, they shatter- an analogy of breaking through the surface to expose the simulation - a mirror slowly explodes into a thousand pieces. Filmed in beautifully rendered high definition Insight is a tribute to the camera obscuras of old mingled with a critical spirit directed towards the mass media today. Regarded as a phenomenon brought about by a world lacking distinction between real and simulacra, Diaz Morales borrows media industry tactics to expose and undermine. Revealing rather than concealing his methods allows for a moment of realisation to occur. As the pieces of glass crumble into tiny galaxies, context is deconstructed and the universalising tendency of Diaz Morales' practise literally portrayed. With timeless grace the artist contemplates the nature of existence. (text Nathalie Levi) We look at a film crew; the film crew is watching us. Cinema as a mirror of reality that becomes fiction. Or is it vice versa? A world with a mirror image, one that can be accessed by crossing the mirror’s surface. Indeed, within the realm of fiction, mirrors provide characters and readers alike with a gateway to a different world. Interaction with that new environment, be it purely fantastic or disturbingly didactic, pushes one to expand one’s horizons and reconsider the concept of a real world. Multiple layers of fabrication and imposition are laid bare by this fluidly choreographed, single-shot embodiment of control. While portraying sound artists at work, typically invisible support mechanisms of filmmaking are exposed, as are governmental violations of individual privacy. Filmic quotations ground Hacked Circuit, evoking paranoia, and a sense of conviction alongside a lack of certainty about what is visible. Complications of the seen, the known, the heard and the undetectable provide thematic parallels between the stagecraft of Foley and a pervasive climate of government surveillance. Chicago-based artist and filmmaker Deborah Stratman makes work that investigates issues of power, control and belief, exploring how places, ideas, and society are intertwined. Non-prescriptive, her works pose a series of problems that allow for complex readings of the questions being asked. Mareike Bernien (Berlin) and Kerstin Schroedinger (London / Zurich) working in collaboration since 2006 in joint film, exhibition and text projects. In their work they seek to critically interrogate image productions and to produce and reproduce images as material of thought. They work with film, radio play, music and text with a historiographical practice, questioning the means of production, historical continuities and ideological certainties of representation. They are interested in an experimental and critical approach to media formats, with an implicit entanglement of content and form. En présence de Sebastian Diaz Morales, Kerstin Schroedinger et Mareike Bernien. Christoph Girardet reprend les prises de vue non utilisées d’une ancienne publicité, avec un mannequin cabine, dans un décor moderniste. Il recrée une narration parcellaire, qui devient le pendant d’une technique perdue. Sebastian Diaz Morales transforme une équipe de tournage en un tableau vivant, reflèté dans un miroir au moment où il se brise, et propose ainsi une réflexion sur le réel et son simulacre. Entre la Corse et la Sardaigne, les Îles Lavezzi cachent un phare dont la lumière balaie continuellement l’horizon. Mélissa Epaminondi explore ce site fascinant, en établissant un parallèle entre le phare et la projection cinématographique. Deborah Stratman évoque la paranoïa contemporaine et le climat de surveillance généralisée, et expose les mécanismes traditionnellement invisibles de la réalisation d’images. Kerstin Schroedinger et Mareike Bernien explorent les archives de film Agfacolor réalisée sous le régime nazi en Allemagne, et les implications idéologiques de l’usage de la couleur.